We are a leading Distributor / Channel Partner of fr-d720s-025-ec variable frequency drive, fr-d720s-042-ec variable frequency drive, fr-d720s-070-ec variable frequency drive, fr-d720s-100-ec variable frequency drive, fr-d740-012-ec variable frequency drive and fr-d740-022-ec variable frequency drive from Noida, India. We offer FR-D720S-025-EC Variable Frequency Drive to our clients. We offer FR-D720S-042-EC Variable Frequency Drive to our clients. We offer FR-D720S-070-EC Variable Frequency Drive to our clients. We offer FR-D720S-100-EC Variable Frequency Drive to our clients. We offer FR-D740-012-EC Variable Frequency Drive to our clients. We offer FR-D740-022-EC Variable Frequency Drive to our clients. We offer FR-D740-036-EC Variable Frequency Drive to our clients. We offer FR-D740-050-EC Variable Frequency Drive to our clients. We offer FR-E740-016-EC Variable Frequency Drive to our clients. We offer FR-E740-026-EC Variable Frequency Drive to our clients. We offer FR-E740-040-EC Variable Frequency Drive to our clients. We offer FR-E740-060-EC Variable Frequency Drive to our clients. 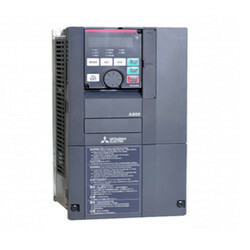 We offer FR-A840-00023-2-60 Variable Frequency Drive to our clients. We offer FR-A840-00038-2-60 Variable Frequency Drive to our clients. We offer FR-A840-00052-2-60 Variable Frequency Drive to our clients. We offer FR-A840-00083-2-60 Variable Frequency Drive to our clients.